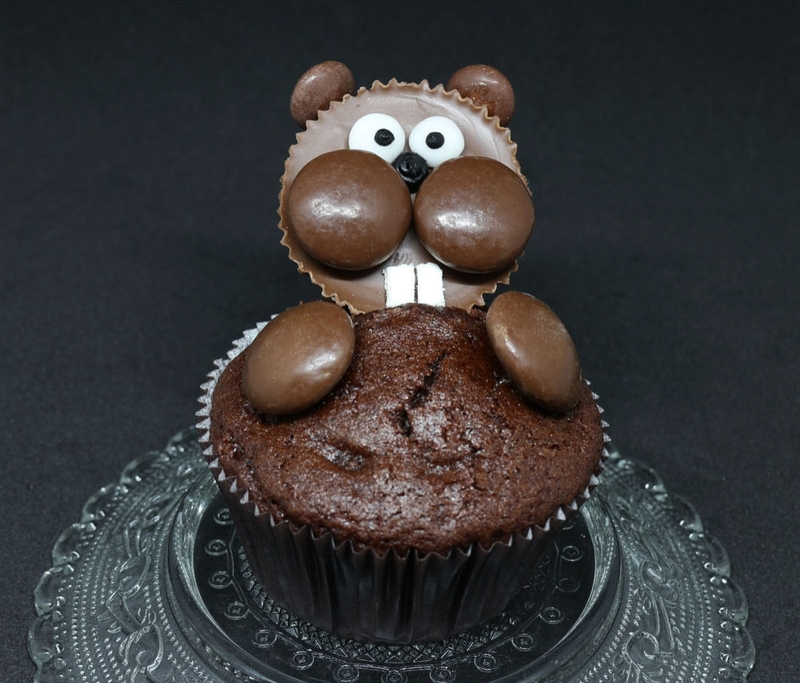 First you bake chocolate cupcakes and let them cool down while you prepare the beaver faces. 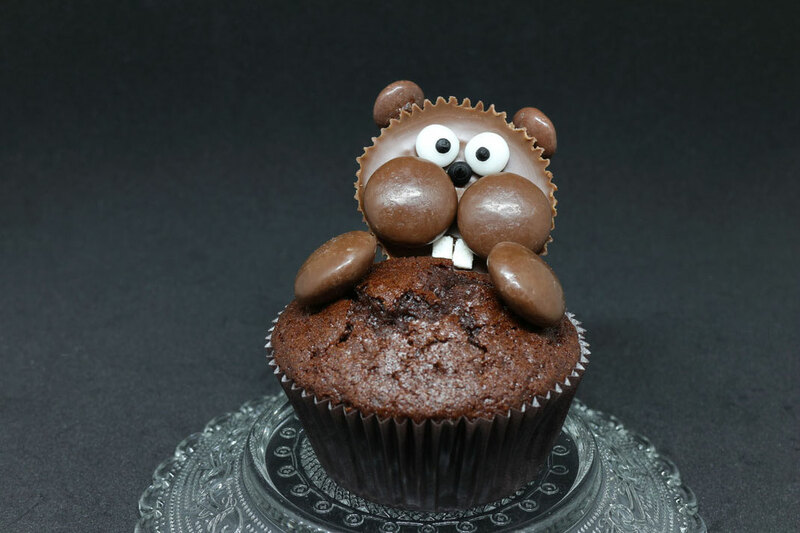 The best would be to have them rising really good to give the beaver a cute belly so fill in a little more batter as you are used to. Mine cracked a little but I thought it makes the beavers even cuter. 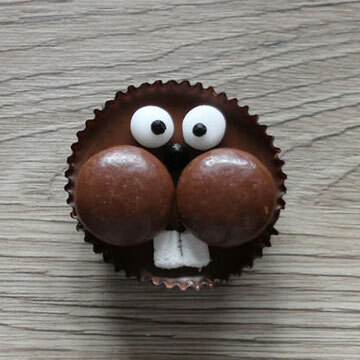 Now it's time to start with the beaver faces. 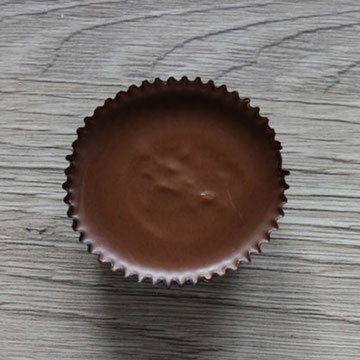 Place a reese peanut butter cup on the table. 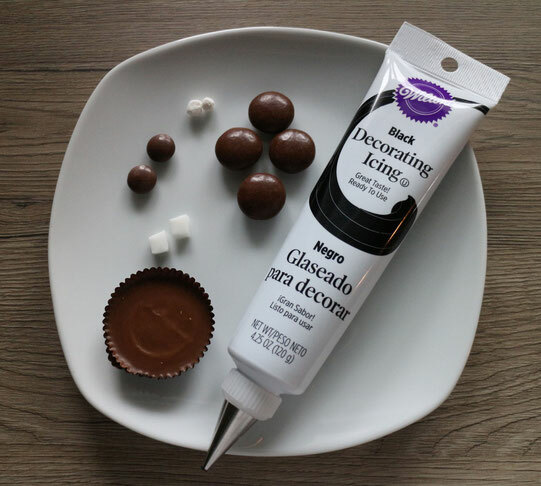 Glue with edible glue two big chocolate drops as cheeks on the cup. Form two little balls out of withe fondant and flatten them. 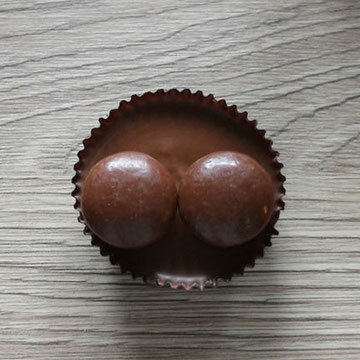 Glue them above the chocolate drops. 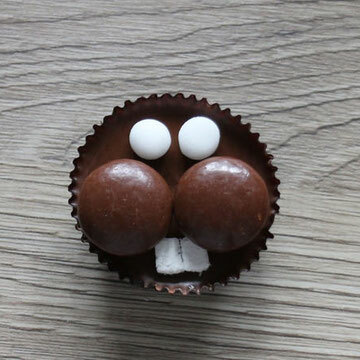 Cut out two little squares out of the mini marshmallows and glue them below the chocolate drops as beaver teeth. 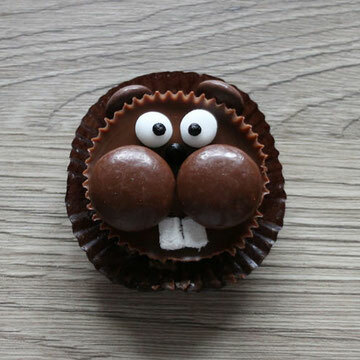 Use the black icing to pipe the nose and the pupils on the eyes. Now finalize the face with the little chocolate drops. I suggest you peel off the wrapper just partially and squeeze the ears within the wrapper to give the glue some time to dry. The last step is to pull off the wrapper. After the cupcakes have cooled down completely and the faces had some time to dry you can assemble them. Cut little slots into the cupcakes and glue the face in these slots (you might need some toothpicks to help them stay up). The final step is to glue on two large chocolate drops for the hands.